Chevron is a major partner in Indonesia's economy and an active member of the community. Through our wholly owned subsidiary PT Chevron Pacific Indonesia, we are the largest producer of Indonesia's crude oil. We are searching for new oil and gas reserves from central Sumatra to offshore East Kalimantan. 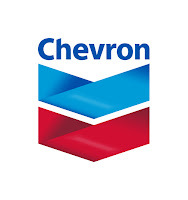 We have begun design work on our deepwater natural gas project off East Kalimantan through Chevron Indonesia Company Our geothermal operations in Indonesia help make Chevron the largest producer of geothermal energy in the world. Chevron sells lubricants in Indonesia through our subsidiary PT Chevron Oil Products Indonesia. Interact with wide range of grade levels from operators to executives.